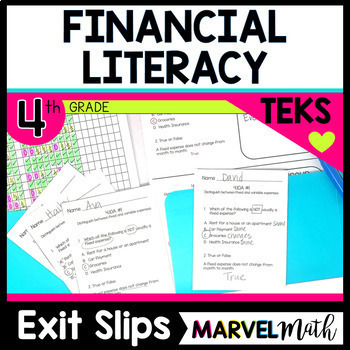 This incredible TEKS centered Financial Literacy Unit covers fixed and variable expenses, how to calculate profit, basic purpose of banks and financial institutions, the advantages and disadvantages of various savings options, and allocating allowance between spending, saving, and sharing. 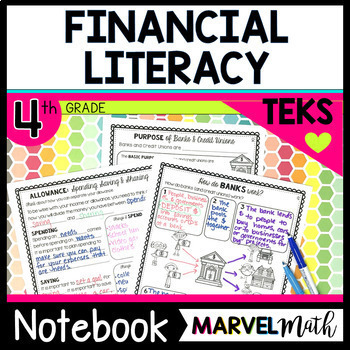 Everything you need for a successful 10 day Financial Literacy Unit is included and all of the pieces work together seamlessly!!! This unit is separated into 5 days of lessons to teach before STAAR (covering the TEKS tested on STAAR) and 5 days of lessons to teach after STAAR (covering the TEKS not tested on STAAR - but oh so important for the real world!) This unit is specifically designed for my fellow Texas Teachers. 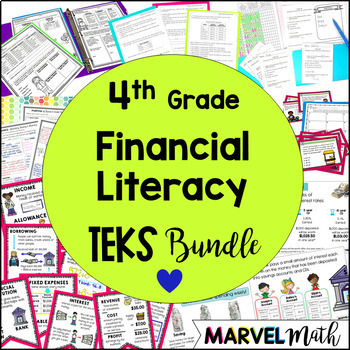 This is a TEKS centered resource. While others may be “TEKS-aligned,” they often cover Common Core standards as well. 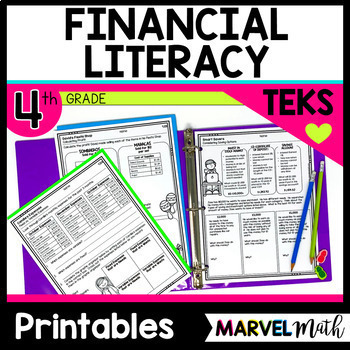 My Texas specific resources cover the TEKS and nothing but the TEKS, so that teachers don’t have to spend additional time sorting through what to use and what not to use. I know how precious each and every school day is; there is no time to waste. As with all of my resources, it is designed with STAAR in mind.